Observation - Stripy legged beetle/fly - UK and Ireland. Description: Black body with yellow striped legs. 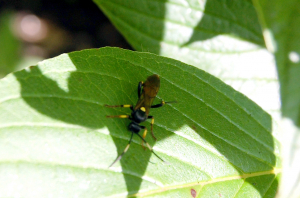 Black body with yellow striped legs.